Our next annual general assembly will take place in spring 2020. An exact schedule is not fixed yet. The platform party with badminton tournament takes place on Saturday, 20 July 2019 from 2 p.m. in all weathers. 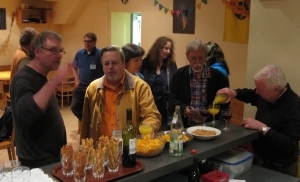 On Friday, 19 July 2019 at 7:00 p.m. we invite all new members to a tour of the observatory and a welcome drink. Our new members will receive an invitation letter by mail. On Friday, 13 December 2019 at 19:00 h we invite all members of the observatory to a Christmas party. 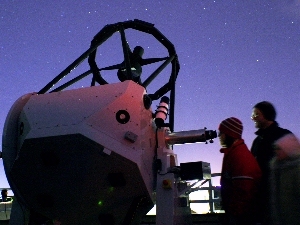 With this free service we offer all members the opportunity to perform under the expert guidance observations with the telescopes of the observatory themselves. For this purpose, no experience is necessary. The events take place on the platform of the observatory, but there are also excursions outside the city offered. If you are interested, please contact Martin Elsaesser by email: martinel@sternwarte-muenchen.de. 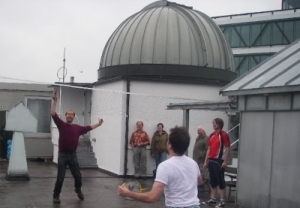 There are many good reasons to become a member of the Bavarian Public Observatory Munich. With your membership you can take advantage of many offers of the observatory for free, while making a valuable contribution to the tasks and the continued existence of our people astronomical educational establishment. With your membership you can perform many offers of free public observatory, while making a valuable contribution to the tasks and the continued existence of our people astronomical educational establishment. 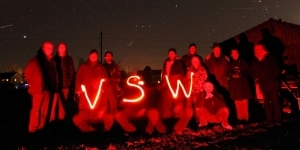 Membership fees and donations to the observatory can be tax deductible.